Isn’t this a neat way to have outside lighting at night? 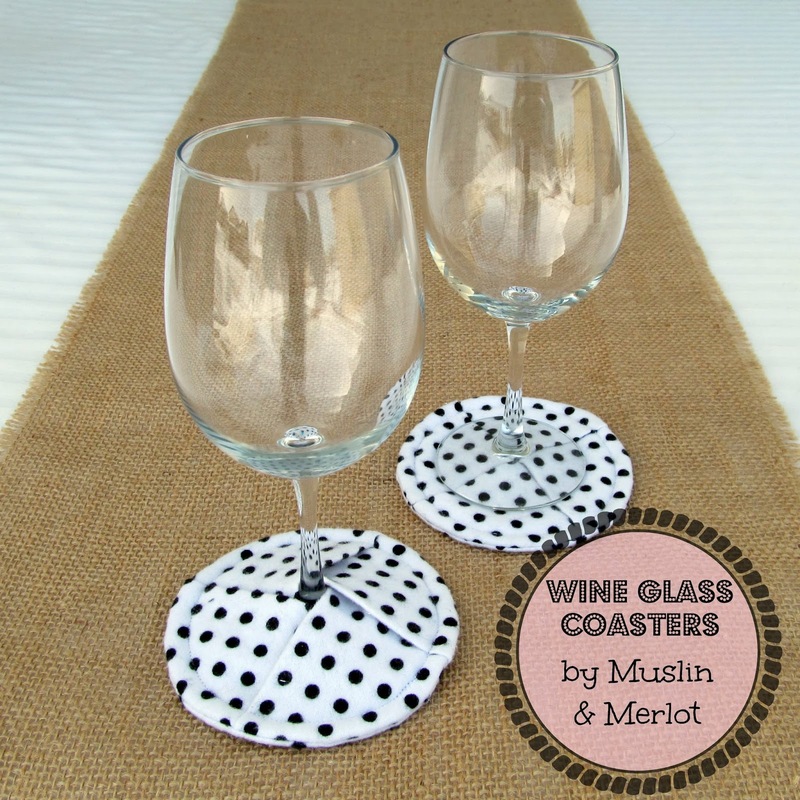 Especially for entertaining or just having friends over. 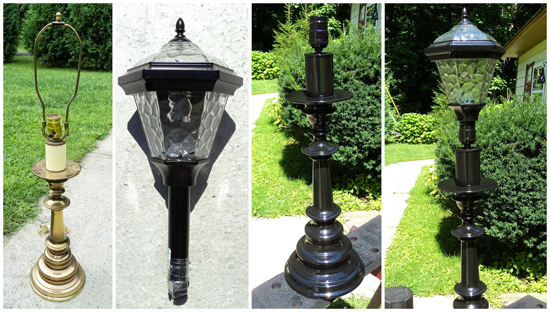 Then you can also add a solar top to repurposed lamps that have been repainted. It’s the perfect lighting for outside because of the soft glow, and it provides just enough light without being obtrusive. You can put them anywhere because you don’t need electricity, as long as they have access to sunlight during the day to recharge. 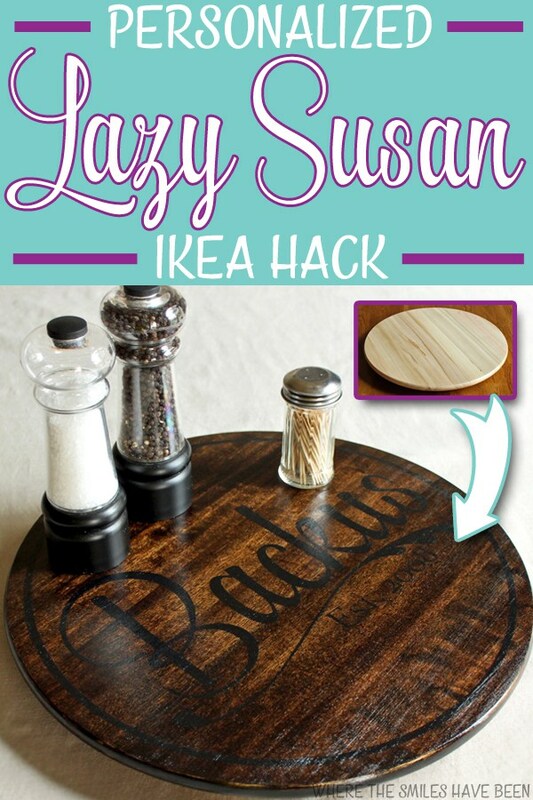 You can find the complete tutorial for this outdoor solar lamp at Houzz. 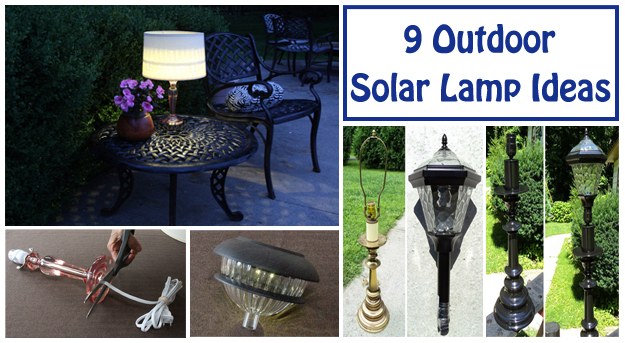 There are 8 more ways to provide solar lighting at Redo It Yourself Inspirations. Among them are hanging lights, wall lights, lamps, and more. This one is my favorite. 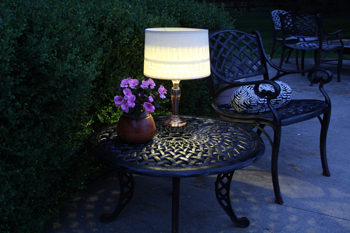 An old brass lamp with new paint and a solar top, doesn’t it look glorious! 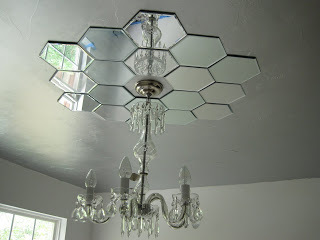 Look at all 8 solar projects that are featured on Redo It Yourself Inspirations.